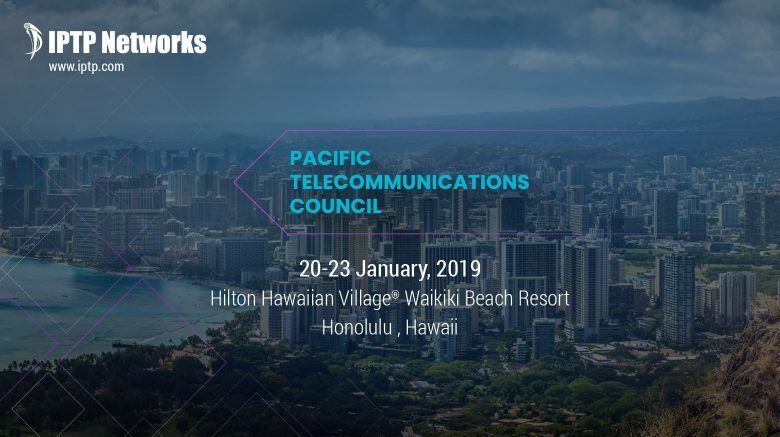 PTC conference is the Pacific Rim’s premier telecommunications event and it is a strategic springboard for the global communications industry, providing all attendees with a three-day platform to focus on planning, networking, and discovering what the new year 2019 will bring. This year marks the 41th conference, with key theme “FROM PIPES TO PLATFORMS” that will allow the participants to explore the ways to shape and reshape the growth and transformation of the ICT industry, while discovering how every industry and organization adapts to an era of communications and computing abundance. IPTP Networks team is looking forward to returning to PTC Conference and discovering the latest business trends, news and new collaboration opportunities.